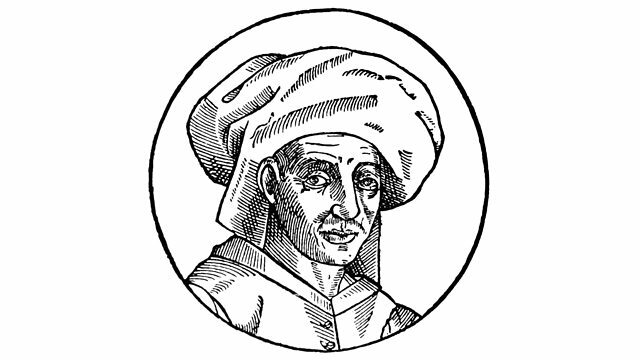 BBC Radio 3 - Composer of the Week, Josquin (c1450/1455-1521), Josquin - Who He? Choral director Jeremy Summerly and Donald Macleod go in search of that elusive master of the Renaissance, Josquin des Prez. Today, the scant facts known about the composer's life. In the company of choral director Jeremy Summerly, Donald Macleod goes in search of that elusive Renaissance master, Josquin des Prez. Today, the scant facts of the composer's life. Among the few things definitively known about Josquin are the date and place of his death - the 27th of August, 1521, in the northern French town of Condé-sur-l'Escaut. The beginning of his life, as with much of what happened during its course, is shrouded in mystery. The occasional glimpses we get of Josquin through court records and the like paint a picture of a supremely talented, highly respected, well travelled and quite possibly rather difficult man whose dedication to his art went hand in hand with a canny appreciation of his own worth. Ensemble: The Hilliard Ensemble. Director: Paul Hilliard. Choir: The Clerks. Director: Edward Wickham. Ensemble: De Labyrintho. Conductor: Walter Testolin.